SOLD OUT! EVENT OVERVIEW: Gloria Steinem will be In Conversation with Vivien Jennings about Gloria's New Memoir My Life on the Road. 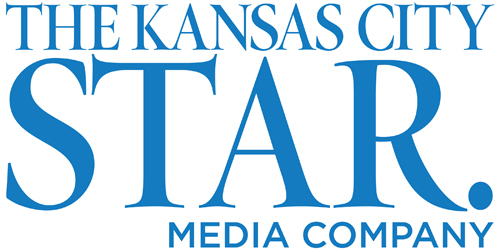 This Event is presented by Rainy Day Books, The Kansas City Star & A Great Collaboration. ABOUT THE AUTHOR: Gloria Steinem, is best known for her outspoken advocacy on behalf of women. She is the Author of four Bestselling Books, including Revolution from Within and Moving Beyond Words. She was a Founding Editor of, and Political Commentator for, The New York Magazine, and a Founding Editor of Ms., which she continues to write for today. ABOUT THE NEW BOOK: Gloria Steinem writer, activist, organizer, and inspiring leader now tells a story she has never told before, a candid account of her life as a traveler, a listener, and a catalyst for change. "When people ask me why I still have hope and energy after all these years, I always say: "Because I travel." Taking to the road by which I mean letting the road take you changed who I thought I was. The road is messy in the way that real life is messy. It leads us out of denial and into reality, out of theory and into practice, out of caution and into action, out of statistics and into stories in short, out of our heads and into our hearts." Gloria Steinem had an itinerant childhood. When she was a young girl, her father would pack the family in the car every fall and drive across country searching for adventure and trying to make a living. The seeds were planted: Gloria realized that growing up didn't have to mean settling down. And so began a lifetime of travel, of activism and leadership, of listening to people whose voices and ideas would inspire change and revolution. My Life on the Road is the moving, funny, and profound story of Gloria's growth and also the growth of a revolutionary movement for equality and the story of how surprising encounters on the road shaped both. From her first experience of social activism among women in India to her work as a journalist in the 1960s; from the whirlwind of political campaigns to the founding of Ms. magazine; from the historic 1977 National Women's Conference to her travels through Indian Country a lifetime spent on the road allowed Gloria to listen and connect deeply with people, to understand that context is everything, and to become part of a movement that would change the world. In prose that is revealing and rich, Gloria reminds us that living in an open, observant, and on the road state of mind can make a difference in how we learn, what we do, and how we understand each other. SOLD OUT! EVENT FORMAT: Gloria Steinem will discuss her life In Conversation with Vivien Jennings, Founder & President of Rainy Day Books. A Booksigning follows the discussion. A Stamped Admission Ticket is required for the Booksigning. There will be A Great Collaboration Reception with Womens' Organizations in Unity Temple on The Plaza, Meyer Hall downstairs during the Booksigning in the Sanctuary upstairs. ADMISSION PACKAGE: THIS AUTHOR EVENT IS SOLD OUT! DISCLAIMER: All Author Event sales are final and non-refundable. Admission Tickets are Irreplaceable. Kansas Sales Tax is charged on all Orders, regardless of destination. Unless otherwise indicated, Authors will only sign Books purchased from Rainy Day Books accompanied by a Stamped Autographing Admission Ticket.